Travel abroad or come to Plymouth to study for one year. Grab your passport and explore exchanges in the Faculty of Science and Engineering. Our students have been taking part in exchanges for over 25 years at both university and school level, with institutions in the USA, Canada, Australia and Europe. An exchange year is available to most students within the Faculty of Science and Engineering. To take part in an exchange you'll need the support and approval of a tutor in your school. You'll usually complete your exchange during the second year of your course (or during Year 2 or 3 of MGeol Geology) for a whole academic year. You'll substitute one academic year at Plymouth and need to choose modules appropriate for your study here. You'll be registered as a Plymouth student during the exchange year, and pay tuition fees here. You'll be assessed by student funding as if you were in the UK and so will still be eligible for a student loan. Schools operate different policies on how your performance during the exchange year contributes towards your final degree result. Discuss this with your exchange coordinator as part of the application process. The application process is selective and you're not guaranteed acceptance and an exchange place. Successful completion of all components of the year prior to the exchange year, before the summer boards, is a condition for participating in any exchange. While additional language skills are useful, more and more European universities offer teaching in English. Not being able to speak another language shouldn't hold you back from taking part in our exchanges. The faculty has a number of direct exchange agreements with universities in Canada and Australia. Places are limited, however we'll try to accommodate you as long as you submit your application on time. Interested in spending a year in the USA? The International Student Exchange Programs (ISEP) may be a good alternative. It covers a much larger number of possible exchange universities and offers a wider choice of subject areas offering more opportunities of getting a place. Contact our ISEP Coordinator at plymouthglobal@plymouth.ac.uk for further information and an application form. Individual schools within science and environment also have a number of exchange agreements with universities in Europe through the Erasmus+ Programme. Interested in studying in Europe? 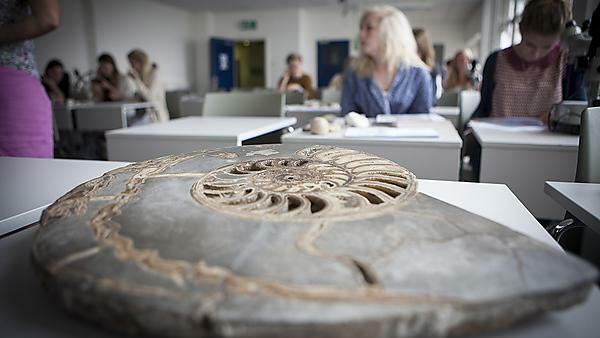 Get in touch to find a suitable university and email us at scienvexchanges@plymouth.ac.uk. We welcome applications from you if you're from one of our partner universities. Contact your home university to see if an exchange agreement exists between your university and University of Plymouth. If the answer's yes then you should apply for your university’s exchange programme and if you're successful, they'll nominate you. Then complete a University of Plymouth Incoming Application form which you can obtain either from your home university or by contacting us at scienvexchanges@plymouth.ac.uk. Our deadline for application is the end of April each year to start the following September. We strongly recommend that you have a good command of English in order to follow courses taught in English. You may need to submit further supporting documents of English proficiency after we receive your application. Want to know what it's really like to go on an exchange year?